WAR BROCK with the Death Clutch UFC 131 Brock Lesnar Redemption Walkout T-Shirt. Well, this was supposed to be the Death Clutch UFC 131 Brock Lesnar Redemption Walkout T-Shirt but then since Brock Lesnar’s sickness came back, he unfortunately won’t be fighting in that card anymore but he will for sure get himself back in the cage. And if he doesn’t, you’ve got the chance to own the last walkout shirt that will be ever made for him with the Death Clutch UFC 131 Brock Lesnar Redemption Walkout T-Shirt. 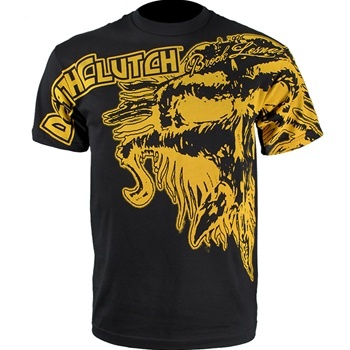 The Death Clutch UFC 131 Brock Lesnar Redemption Walkout T-Shirt is available at MMAWarehouse for $29.99.